Many Smartsheet customers create custom solutions using our Application Programming Interface (API). While you can find numerous opportunities to use the Smartsheet API through your organization, it is often adopted by teams working in information technology (IT). 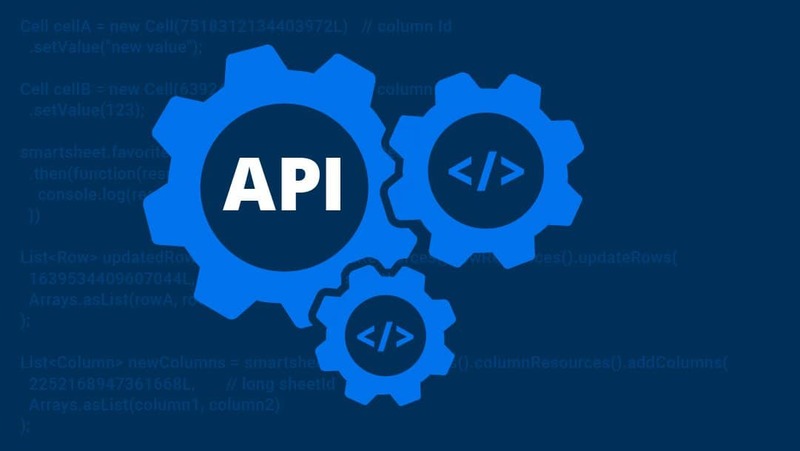 Essentially, an API is a messenger that sends and receives requests for information from one application to another. IT teams use our API to build powerful integrations and solutions that accelerate work execution across their organizations. The key capabilities of the Smartsheet API can be boiled down to three main functions that help IT teams build effective business solutions: importing and exporting data, automating processes, and enforcing standardization and compliance. Foundational to an API is the ability to import and export data across platforms. The most basic idea is that you can import and export data. All other uses of the API are built upon this idea. When you connect to Smartsheet data through code you are most likely trying to read or add data. 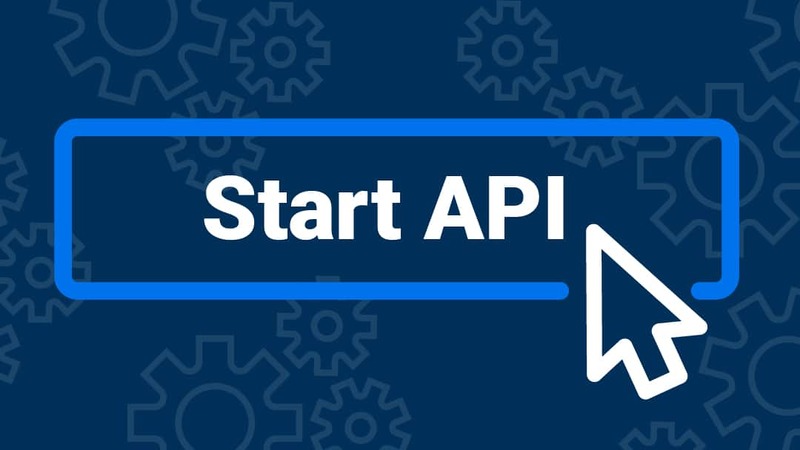 Common scenarios for using the API involve integrating Smartsheet data with data from other systems in your organization. For example, in your IT department, you might be tracking support tickets through an issue-tracking system, and keeping track of your organization's list of users in a directory system, such as OpenLDAP. You could bring together information from both of these systems into a sheet in Smartsheet using the Smartsheet API. You would do this by writing a program that grabbed support tickets from the issue-tracking system and wrote that information to a sheet. Then, using the userId from the support ticket, you could grab more user data from the directory, combining both sets of information into a single sheet. Once you start moving data with the API, you can automate your processes. Getting information from multiple systems or sources, and presenting that information in a meaningful way can take a lot of time—even if you write code to do it. Polling: Going back to our previous example of grabbing data from an issue-tracking system and a directory, you could check those systems for changes on a regular time schedule, such as, every hour. This regular checking is called polling. It saves time because you no longer need to manually run the application to check for changes, but it also needlessly uses resources if there are no changes. Webhooks: Webhooks allow you to subscribe to events through an API. In the case of Smartsheet, webhooks allow your program to be notified of changes to data in a sheet. In addition to reducing the amount of time it takes for your integration to respond to changes in your Smartsheet data, automating API calls frees up your IT team to focus on customer support and innovation. You can also use the API to enforce standardization or compliance. By its nature, Smartsheet is very flexible as far as what data can be added to a sheet. But sometimes you want to set standards to ensure that everyone enters data in the same way. With the Smartsheet API you could write an application that guides people to follow your desired standards. A great example of this concept is Smartsheet Dynamic View. 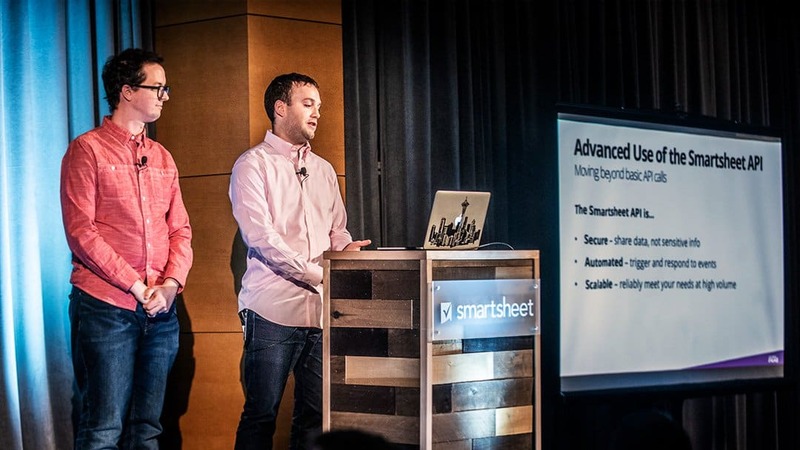 While this premium application was built by Smartsheet, it actually uses the Smartsheet API to provide a unique experience to our customers. The creator of the dynamic view can choose which columns and rows are seen, and they can set up specific forms for entering data into each row. 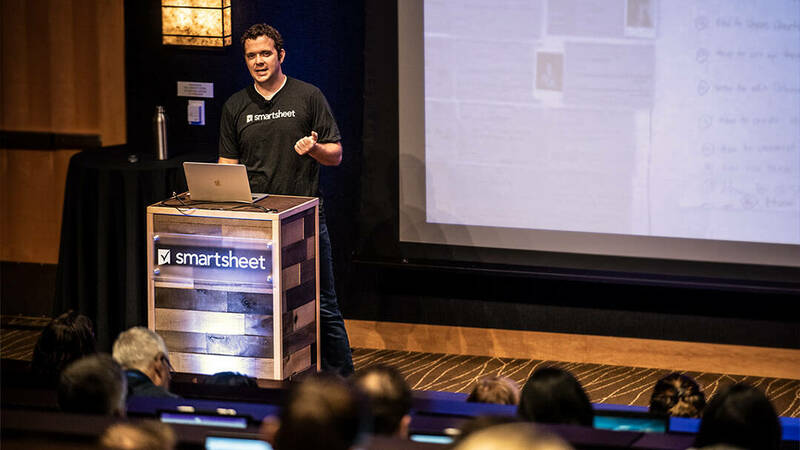 If you need to enforce standards on your sheets, and can’t do it with Dynamic View, you could also use the Smartsheet API to build a custom solution that would meet your specific needs.